Telemarketing Executive Jobs in Mumbai | Religare Walkin Drive On 27th and 28th June 2017. Religare is recruiting graduate candidates for Telemarketing Executive position. Interested aspirants can attend for the latest jobs in Mumbai on the given walkin dates. Who are interested in developing their career in the Banking sector can utilize this opportunity on or before the closing date of the walkin. 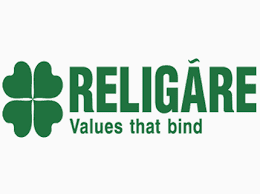 Fresher and eligible candidates are eligible to attend for the Religare Recruitment. Having Market Knowledge (equity, commodity and Capital market) would add an advantage. Job aspirants who will perform well in the written test those candidates will be eligible to attend for the Further rounds. Qualified and job need people will not miss out this opportunity. Readers can check the entire information and attend at the venue directly. Before attending the drive people need to check the Religare Interview Questions and Religare Online Test Papers. We hope those papers will help the candidates during their preparation. To know more updates about Freshers Jobs or other IT Jobs keep on checking our site www.allindiajobs.in for factful and accurate info. Hiring For Retention, MIS and Operation Executive at Religare Securities Ltd – Vile Parle – Mumbai. Increase customer and Market share of customer trading on online Platform services to all assigned clients. Ensure client is guided for trading online platform. Maintain Relationship with Trading Customer. Responsible for activating the clients for long term investments as well as positional trading ideas in stocks for short, medium term. Responsible for educating and advising clients for online platforms Trading. Ensuring Service Quality and Deepening Customer Relationship. Having Market Knowledge ( equity, commodity and Capital market) would add an advantage. Fresher can also apply those who want to make their carrier in the stock market, Brooking, Capital Market. Religare Securities Ltd is a wholly owned subsidiary of Religare Enterprises Limited, a leading diversified financial services group from India. RSL is one of the markets leading securities firms in India serving over 10 lakh clients across both Offline and Online platforms. Through its extensive footprint extending to over 430 cities, the company offers broking services in Equity, Currency, and Commodity as well as depository participant services. Religare is hiring Graduates for Telecalling, Telemarketing Executive positions. Candidates who have experience with at least 0 – 3 years would be an added advantage. Who are having the above requirements are eligible to attend for the Religare Walkin Drive 2017 on 27th and 28th June 2017. Vile Parle (E) Mumbai – 400057.